Former Australian High Commissioner and Foreign Minister, Alexander Downer, writing with Graham Gudgin, argues that fears of no deal’ are overdone. A Canada-style trade deal combined with modern customs techniques are sufficient to meet the needs of UK firms including just-time manufacturers. The UK has several important bargaining cards for a renegotiations to replace the current Withdrawal Agreement. At the same time, the Withdrawal Agreement on offer is clearly unacceptable to many. The Government has promised to lock the UK into a Customs Union of uncertain legal basis, and Northern Ireland also into the Single Market for goods, in both cases until an alternative arrangement is agreed. Any alternative will be subject to EU and Irish vetoes and hence will need to adhere to the agreed conditions for the Irish border backstop. Theresa May and her allies cannot explain why the EU and Ireland will accept an alternative including things like technical solutions to the border issue that they have already rejected. Northern Ireland is not to be treated differently, this will mean that the requirement of remaining within the Single Market and Customs Union will also apply to the whole of the UK. The UK will neither be able to decide its own product regulations, nor to strike new free trade deals with countries outside the EU. Why tie us down in this way? These measures are apparently to secure frictionless borders at roll-on, roll-off ports as well as in Ireland. We must assume that promises were made to European car manufacturers early in the Brexit process that this would be so. But little work has been done to look at alternatives to remaining in a customs union in order to achieve frictionless trade. Customs experts have been ignored. Only last Monday, speaking to the Commons Northern Ireland Affairs Select Committee, the previous head of the World Customs Association, Lars Karsson, clarified and reinforced his frequently expressed view that modern technology can do the job (here). Hans Maessen, a Dutch customs specialist, also testified that technical solutions without any physical infrastructure could work to ensure no hardening of the Irish border in ways that damage the 1998 Belfast Agreement and peace process (here). The heads of a number of prominent UK and Irish businesses have both asserted that invisible borders are now possible. This can all be achieved with existing technical solutions, and in compliance with the EU’s Union Customs Code. Together with modern customs arrangements and the latest technology, it is clear that a Canada-style free-trade agreement will be sufficient for UK needs. Zero tariffs and a regulatory coherence and regulatory cooperation chapter in an FTA will protect companies and jobs from excessive disruption. The customs technology to minimise or avoid border checks is available and is being used elsewhere. Physical checks for such things as phytosanitary concerns are conducted away from borders in many countries and need not cause hold-ups at Dover, Calais or anywhere else. All of this could be done in Great Britain and Northern Ireland to meet the needs of ‘just-in-time’ producers? and to avoid new border infrastructure in Ireland. HMRC says it is advanced in setting up the systems for electronic customs clearing, a key aspect of invisible borders (although a 20-month transition period will help its preparations). The IEA’s ‘Plan A’ details the necessary arrangements (here). In other words, the UK could now change tack and say it prefers a free-trade agreement, thereby making the Withdrawal Agreement’s UK-wide and Northern Ireland backstop arrangements redundant. 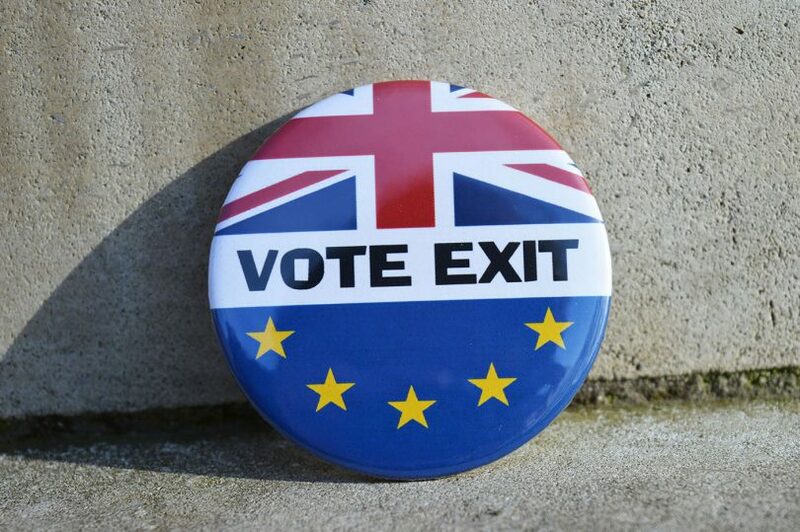 EU negotiators may say that the negotiations have been concluded and initially refuse to talk further, but the UK has a number of cards to play. Brussels wants an agreement – not least to secure its £39 billion without protracted court action – but continues to insist on an Irish backstop. However, if the UK threatens ‘no deal’, the prospect looms of the EU forcing Ireland to conduct checks at the Irish land border. But no deal would be a disaster for the Irish beef and dairy industries; these would either be exposed to tariffs or would have to face competition from all over the world, if the UK had to apply zero tariffs on a Most-Favoured Nation basis to curb food price inflation. The likely challenge for the Irish Government under no deal may lead them into a scramble to arrange checks away from the border that trade experts have long said are possible. The deep irony is that while the EU threatens no deal if it fails to secure an Irish backstop, in the event of no deal it would not secure the invisible border in Ireland that it desires. It is a bit like threatening to shoot itself in the foot if it does not get its way. Irish intransigence on the backstop has pushed the UK into agreeing all-UK measures that are likely to be unacceptable to Parliament and may thus prevent the free trade agreement which is strongly needed to reduce incentives for smuggling by armed gangs at the Irish border (as well as at the English Channel, where tobacco smuggling has been big business). The UK thus has some bargaining clout to get a different deal but only if the prospect for no deal is taken seriously. What are the dangers to the UK in adopting this course? No deal would not be our preference. A free-trade deal is in everyone’s interest and the aim should be to negotiate one quickly, preferably within a 20-month transition period. This would be the world’s first free-trade negotiated between countries which already have both free-trade and full regulatory identicality. Negotiating a continuation of the status-quo should be vastly easier than the focus FTAs normally have on protectionist tariffs and aligning disparate regulatory regimes. It should also be pointed that if the meaningful vote goes against the government, this does not necessarily mean an automatic ‘no deal’. Instead, it may well be the only way to obtain a reset of the negotiations. In this context, a Withdrawal Agreement is still very possible. A transition period with no new tariffs and no immediate border checks would be very helpful but would require Brussels to accept British bona-fides on avoiding a hard border in Ireland without a formal backstop. The EU will be reluctant to back down from its current position of supporting the political needs of a small member state and will inevitably push this to the eleventh hour. Strong nerves will be needed but self-interest suggests that the EU will do a deal. In the event of no deal, tariffs and regulatory checks could be highly disruptive for a minority of UK businesses, especially those connected with dairy products and meat where EU tariffs will top 20% and also with fresh foods which cannot tolerate long delays. However, EU preparations for no deal only say that checks may be conducted – not that they will be. In any event, new technology is already being installed at Calais to ensure that checks involve minimal disruption to traffic. Most engineering firms will be little affected by tariffs which is why heads of firms like Dyson, JCB and Northern Ireland’s Wrightbus support Brexit. Even car companies can withstand 10% tariffs on sales into the EU and 4.5% tariffs on components from the EU since they have benefitted from a 15% depreciation in Sterling. Border checks on their components from the EU will be unnecessary, counter-productive for EU exporters, and illegal under WTO rules (which prohibit unnecessary checks undertaken for political reasons or for competitive advantage). With modern customs clearing arrangements and border technology it is unlikely that just-in-time manufacturers will be greatly inconvenienced by no deal although they will of course prefer a completely open border within a customs union and single market. Business must be preparing for this possibility now. The much-feared 20-mile lorry-jams, already prompting diggers to begin work on widening the M26, must come from a danger that French customs will instigate unnecessary checks at Calais and elsewhere. Congestion at Calais could then lead to constraints on ferries leaving Dover and hold-ups in Kent. Goods which were deemed perfectly safe on 29th March would need to be judged suspect on 30th March. 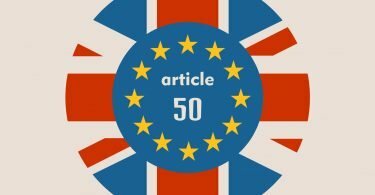 If the UK undertook not to alter any product regulations through the transition period there would be no need for regulatory checks during this period, but checks might be undertaken anyway due to a strict and purblind application of EU rules. This would be equivalent to sanctions on a hostile regime, albeit defended by the EU on grounds of normal procedure. It is politically unlikely to happen or to last for any stretch of time, especially if the UK threatened retaliation on EU exporters. Prohibition on landing rights and refusal of certification on aircraft, cars or vehicle parts come under the same category. Strict and bloody-minded application of EU rules could lead to severe problems, but again is politically unlikely. Several French regional airports derive close to 80% of their traffic from UK-owned airlines and local tourism would be ruined by prohibitions on landing rights.